Time to ge our local contractors together and start networking and helping one another! 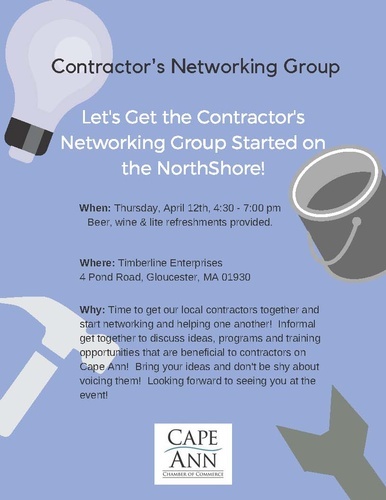 Informal get together to discuss ideas, programs and training opportunities that are beneficial to contractors on Cape Ann! Bring your ideas and don't be shy about voicing them! Looking forward to seeing you at the event!